Microsoft recently released the Chromium Edge browser and you can download the latest insider Edge builds from the official site. As you can tell from the name itself, the new Edge browser is built on top of Chromium. I've been using the Edge Canary version for a few days now, and it is quite awesome. Sure, it lacks some Edge specific features like PDF and Ebook reader, inking support, etc. but it is faster than Chrome and consumes less memory. I recommend you give it a try. One of the advantages of the new Chromium-based edge browser is that you can install almost any chrome extension you want in the new edge browser. As you can guess, this is quite useful and removes one of the biggest disadvantages of the Edge browser. So, without further ado, let me show how you can install chrome extensions in the new edge browser. Note: This guide is meant for new Microsoft Edge browser that is based on the Chromium project. This guide will not work with the old Edge browser. 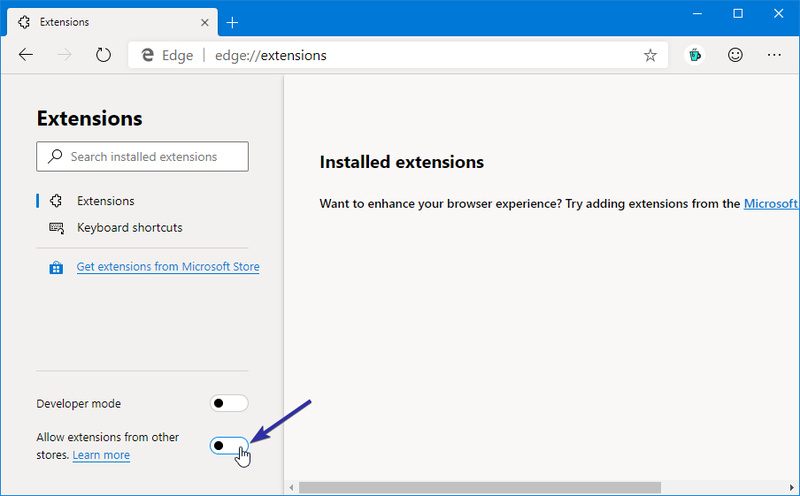 To install Chrome extensions in the Edge browser, you need to enable a special option within the Extensions page. 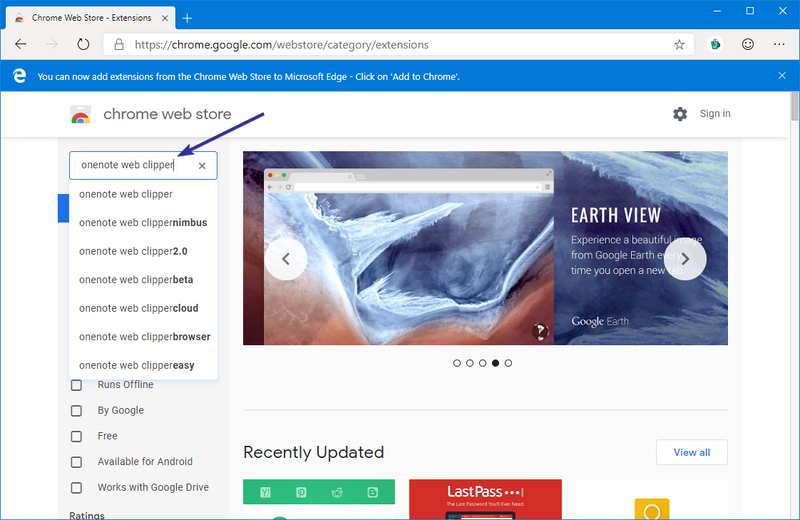 Once you enable the option, the new Chromium Edge browser will allow you to install extensions from the Chrome extensions store. 1. First, launch the Microsoft Edge browser by searching for it in the start menu or by clicking on the taskbar icon. 2. 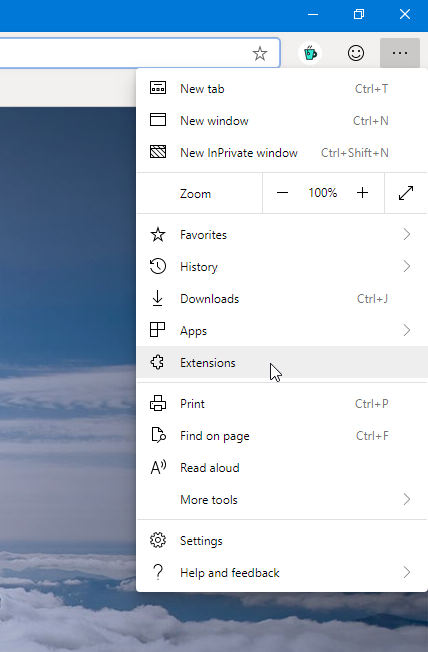 After launching the new Chromium Edge browser, click on the Menu icon (three horizontal dots) appearing on the top-right corner and select the "Extensions" option. 3. In the extensions page, you will see additional options at the bottom right corner. Toggle the switch next to "Allow extensions from other stores" to the "On" position. 4. When you turn on the feature, you might see a caution or warning prompt. Simply click on the "Allow" button to continue. 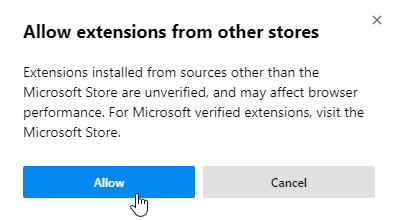 All the warning prompt is saying that the extensions installed from third-party stores might affect the browser performance. But, in my experience, there is no performance hit, at least visibly. 5. Now, you can install the chrome extensions in the Edge browser. To start, go to the Chrome extension store and find your favorite extension. 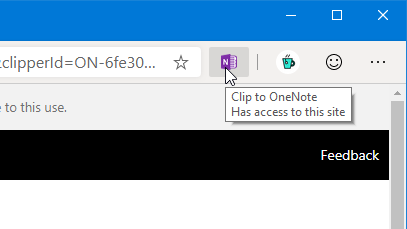 In my case, I want to install the OneNote web clipper. 6. 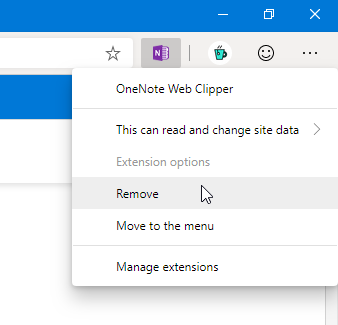 Once you find the extension you want to install, click on the "Add to Chrome" button and the Edge browser will download and install the button. 7. You can find the newly installed extension right next to the address bar. 8. Just like in Chrome, you can find and manage the installed extension from the Extensions page. From here, you can either disable or remove the extension as and when needed. 9. Of course, you can also remove the extension by right-clicking on the extension on the address bar and selecting the "Remove" option. That is all. It is that simple to install chrome extensions in edge browser. Do comment if you face any problems or to share your thoughts. If you like this article, do check how to add timeline support to chrome and firefox in Windows 10.